Hello! 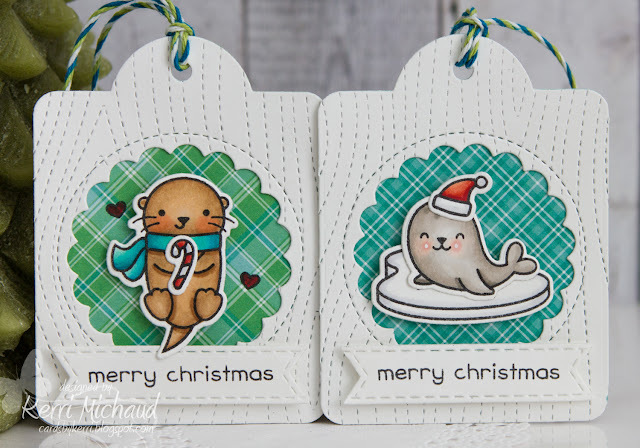 I wanted to share a couple Christmas tags I made using Winter Otter and Sealed with a Kiss! These critters are so CUTE!!! I colored them with Copic Markers and cut them out with the coordinating Lawn Cuts. I used the Stitched Woodgrain Backdrop to add the woodgrain stitching to the tags and then cut the circles using the Outside In Stitched Scalloped Circle Stackables. 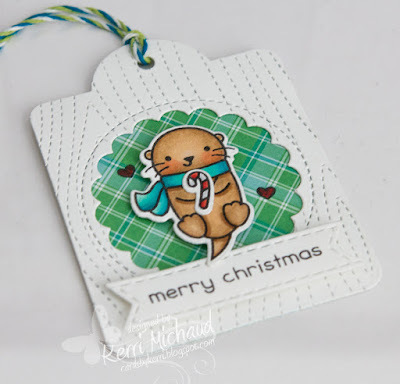 The patterned paper is from the Perfectly Plaid Christmas collection. 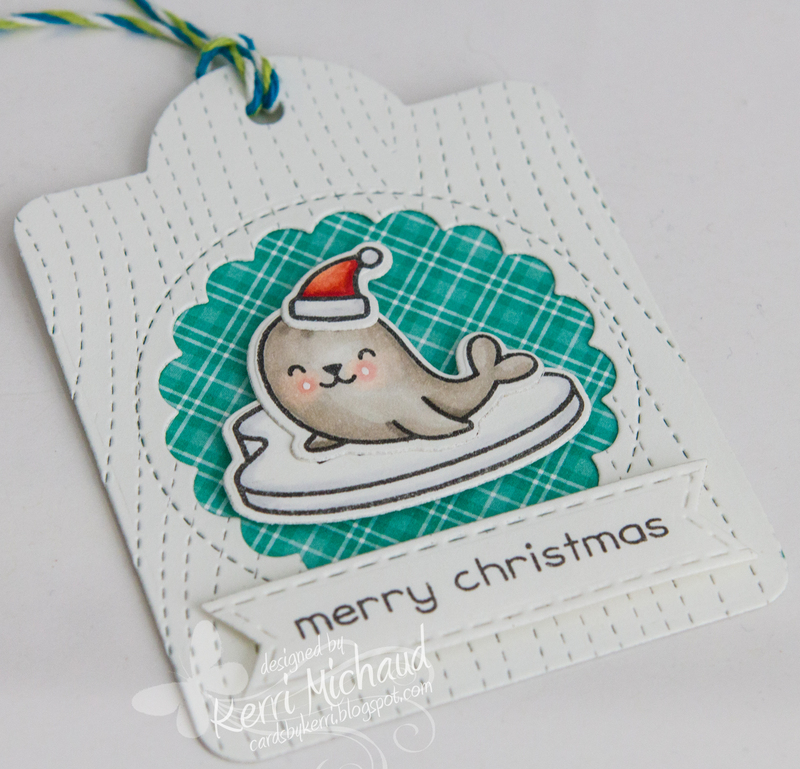 The santa hat comes from the Cheery Christmas stamp set:) I can't wait to make more of these using more LF cuties! Thanks for stopping by!